7000 C-TEC4 ENGINE: Part of our clean technology family, the 7000 is a 1049cc 4-Stroke, renowned for easily accessible midrange power. 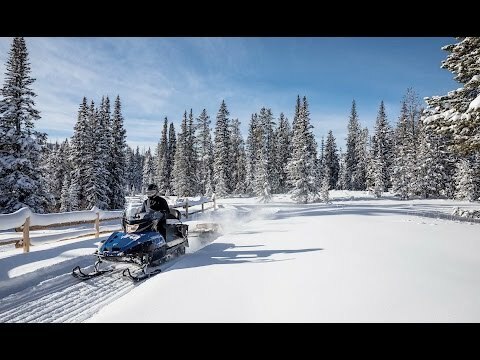 This quick-revving triple maintains optimal power thanks to EFI and a state-of-the-art engine management system designed to reduce engine braking. ARCTIC RACE FRONT SUSPENSION: The Arctic Race front suspension’s geometry was developed through racing. Our unique wide A-arm spacing complements the chassis design, which allows us to maintain a tighter suspension. Arctic Cat gas IFP shocks feature a hard-anodized aluminum body, 0.5" shaft, aluminum internal floating piston, and high-quality seals and ice scrapers. For added strength, the eyelet on the shaft end is forged, replacing the welded design. 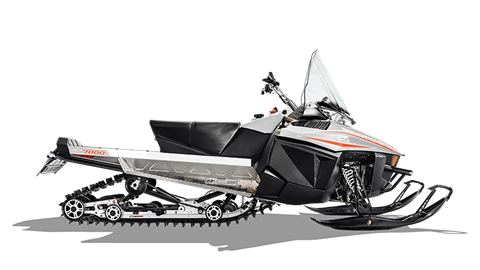 XTRA-ACTION REAR SUSPENSION - This articulating system allows the rear of the suspension to move up and down as you ride across rougher snow, making your machine more maneuverable and more versatile. Backing up in the unlocked position allows the rear of the frame to lever up, rather than dig into the snow. For more traction, just lock the skid and you’ll have a straight-rail suspension that takes full advantage of the track. POWER SPORT GAUGE: All the information. All at your fingertips. There’s an odometer, trip meter, speedometer, engine hour, clock, fuel level indicator, reverse and warning lights, keeping you in tune with your machine. SHIFT LEVER REVERSE: Just like the shifter in your car. What could be more convenient for shifting into reverse? MIRRORS: Not all mirrors are the same. Ours are heavy-duty, built to last and made to withstand whatever winter throws at them. 154 IN. LONG X 20 IN. WIDE WITH 1.6-IN. LUGS: For towing, touring, grooming or patrolling the ski slopes, the 20 in. wide track, with patented Quiet Track technology, gets the job done. The hardworking articulating rear suspension benefits from a long 154 in. track featuring 1.375 in. lugs and a 2.86 in. pitch. HAND AND THUMB WARMERS: Say goodbye to cold hands. Our hand and thumb warmers provide plenty of warmth and comfort on long rides. PROUTE: 10 / 8 SKIS: 10 in. at their widest, tapering to 8 in. The tipped-up design allows you to run on deep snow without trenching. Whether you’re working or touring, these skis provide effortless stability on and off the trail. 19 IN. HIGH-HEIGHT WINDSHIELD WITH MIRRORS: The extra-high windshield tames the wind out in the great white open, while the mirrors make backing up easy as ever. WR3 WITH TEAM RAPID RESPONSE DRIVE AND TEAM RAPID RESPONSE BOSS DRIVEN CLUTCHES: The Wide Range 3 speed transmission with easy shift raises the bar on how low gearing can go. Inside sits a large TEAM driven clutch and TEAM® drive clutch. By eliminating belt skid, these clutches reduce temperature and transfer more power to the track. In addition to their incredible strength, these clutches are known for their easy and precise tuning.